Our professional experts and Iron chefs under the brand New Viet Gastronomy have become familiar with you through the Food & Hotel for many years. On the occasion, we will return to Food & Hotel Vietnam 2019, taking place from 24 – 26 April 2019. 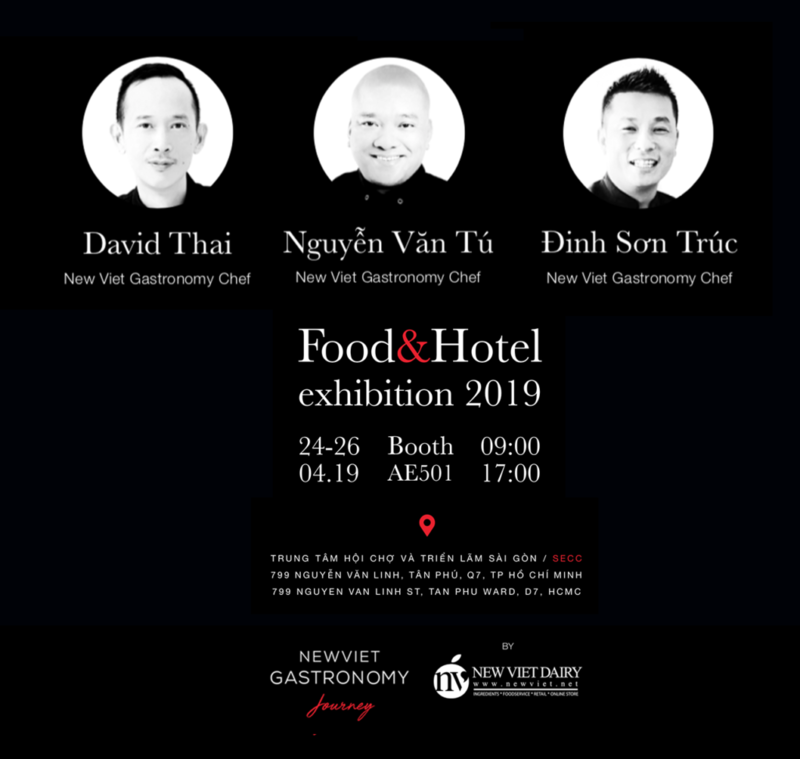 At this special event, New Viet Gastronomy team will share with you the keys in order to optimize the business efficiency in each dish and consulting the inquiries in the food and beverage business. We are pleased to introduce the members of the New Viet Gastronomy team below. Iron Chef Vietnam 2012; Member of Escoffier – the International Chef’s Association in Vietnam; President of the Hanoi Chefs Association; Chefs Battle 2018. He is now Culinary Consultant at New Viet Dairy. Iron Chef Thailand 2012; Judge of Iron Chef Vietnam 2013; President of Ordre Culinaire International Association in Vietnam; An inspiration to the Young Generation Professional Chefs in Vietnam; Chefs Battle 2018. He is now Culinary Consultant at New Viet Dairy. The 1st Runner up at the Saigon Young Chef Competition. Young Iron Chef TV Star in Vietnam; Sous Chef at Sunrise Resort & Hotel Nha Trang – 5 Star; Executive Chef at the Society Tapas & Bar Restaurant, HCM City; Teacher at Asia – Western Culinary School; Food Consultant for restaurants project in Ho Chi Minh City and Nha Trang City. He is now Culinary Consultant at New Viet Dairy. 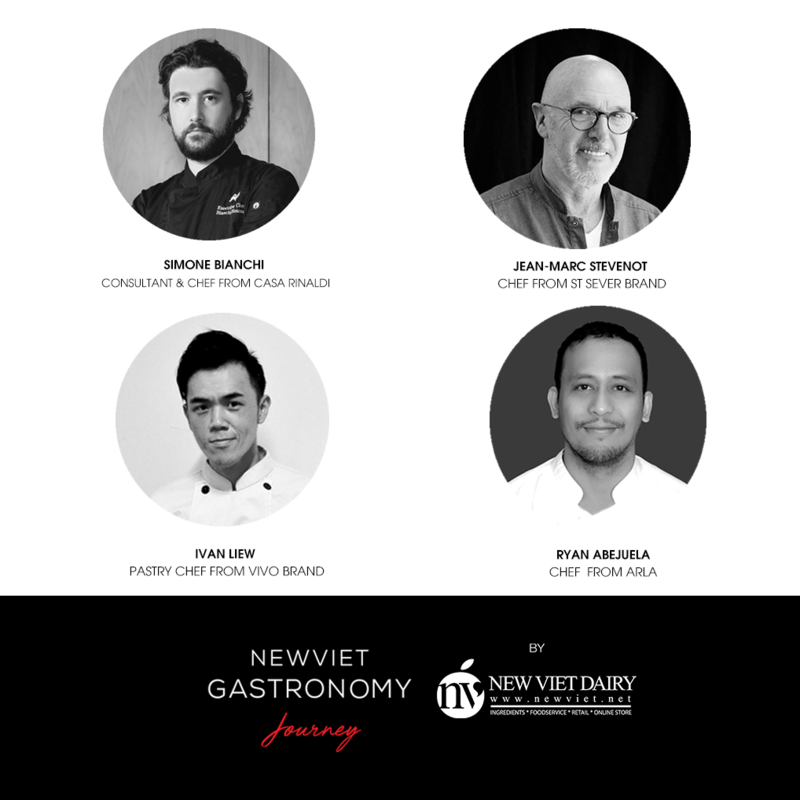 Look forward to see you at “The Journey of New Viet Gastronomy” at AE501 Booth, Food & Hotel Vietnam 2019.